After a long period of exile from Sports Entertainment, the ferocity and energy of ULTIMATE WARRIOR makes his long awaited return to WWE! Follow the homecoming of The Warrior as he prepares for his induction into the 2014 WWE HALL OF FAME, reunites with WWE Legends and reflects on his historic career in this extended documentary featuring over 30 minutes of never before seen footage! 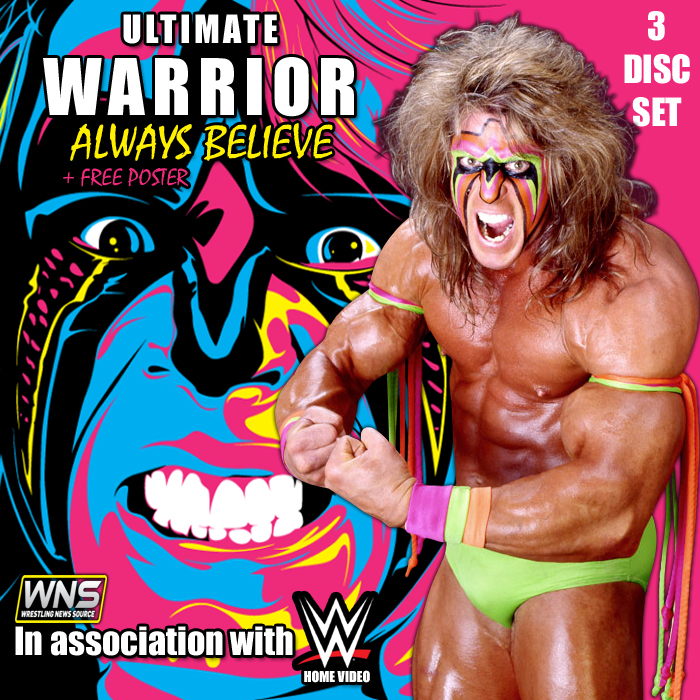 This 3 Disc set also features Ultimate Warrior’s most memorable matches and moments spanning his early days in WORLD CLASS CHAMPIONSHIP WRESTLING to his rise to stardom in WWE. This collection encapsulates the spirit of Ultimate Warrior and shows that his actions inside and outside of the ring inspire the WWE Universe to ALWAYS BELIEVE!